As part of the larger NextCare Urgent Care, this clinic has affiliates with the closest other clinic being in Dallas about 8.3 miles away and is open today from 8:00am to 8:00pm. 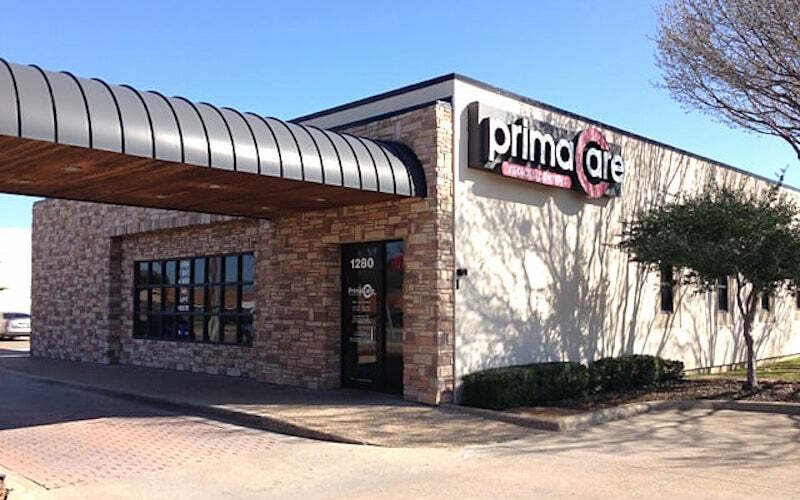 Recognized favorably amongst their patients, PrimaCare Medical Center, Mesquite has an average rating of 4.7 stars out of 5 based on 1992 total ratings. This was my first trip to this location. It was for a drug screening for employment. I did have to wait for about an hour, however, I was a walk in patients and did not ha e an appointment. The staff was very friendly and the facility was clean. It is awkward for it was my first time to have to pee in a cup for employment. And there is no sink in the bathroom to wash your hands afterwards. I was informed this is because of the nature of the visit. All in all it was a good experience. Doctors were very responsive to my pain and I think they did a great job. Great service had a good experience. The visit was quick and easy. Dr. Dillahunty and staff were extremely nice and caring. Staff very helpful and kind. I’ve been to the mesquite location several times & never been treated the way I was today by the receptionist. As I walked in with lunch (I came on my lunch break from work) the heavier set Hispanic woman hollered, “MAAM WE DONT ALLOW FOOD IN HERE DIDNT YOU SEE THE SIGN ON THE DOOR.” I walked out extremely embarrassed. Other than that situation everyone else was very polite & helpful as always. Overall good visit. Was upset only with being misinformed by Primacare staff. I signed up for monthly premium plan at my previous visit. I asked what it covered. I was assured it covered everything including tests, immunizations. Today I went in for TB test that I do yearly at Primacare (the main reason I got in the monthly plan) And I was told it wasn't covered. That was upsetting. I've been going to Primacare Mesquite for several years and unfortunately I Do not have standard medical insurance. That is why I signed up for the plan that was offered by Primacare. Everyone was kind and friendly. The service was very fast and all were helpful. We have not been at this clinic in years. Today everyone was very friendly and we were in and out very quickly. Overall experience was great. Nicole was amazing and fun.